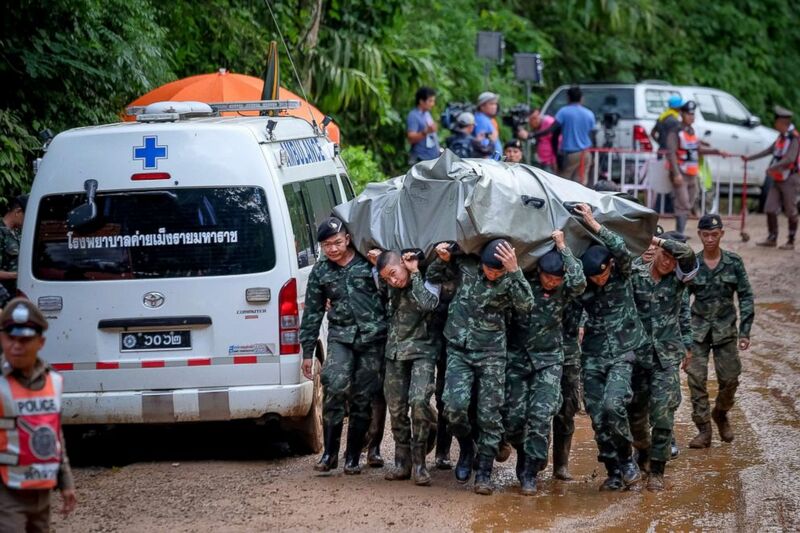 A nation continued to hold its breath Friday and hope for the safe return of 12 young soccer players and their coach who remain trapped in a flooded cave in northern Thailand after disappearing nearly a week ago. "My son! Come on out! I'm waiting for you here!" one mother could be heard calling into the cave recently as she stood next to her child's bicycle. 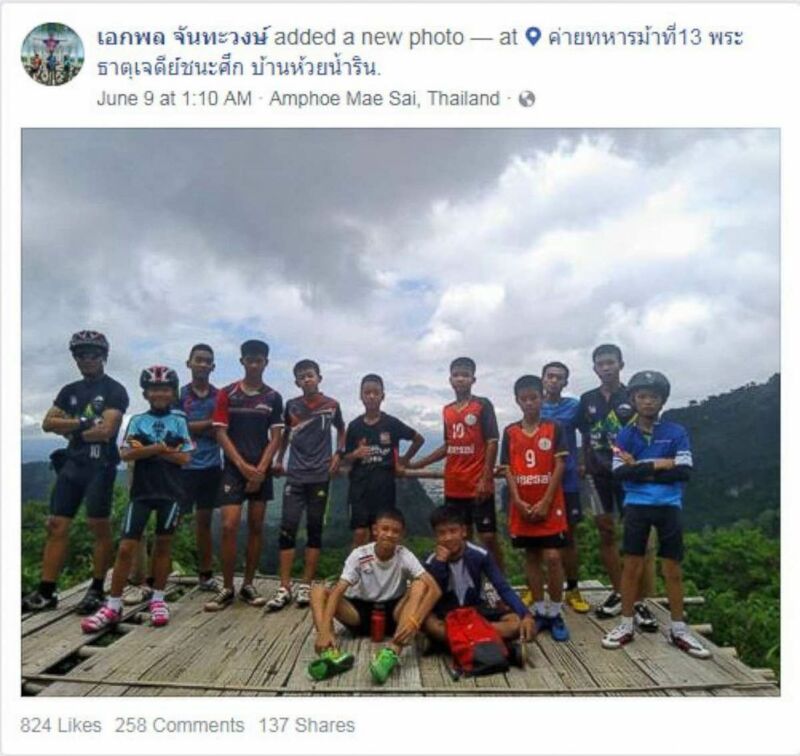 (Facebook) The missing Thai soccer team and their coach are seen in this undated Facebook post in which the coach urged players "to keep practicing." Tham Luang, Thailand's longest cave and a popular tourist site, is said to be a labyrinth, miles of passageways and tunnels running underground that can flood up to 20 feet during heavy downpours. It's believed that the coach often brought his team to the cave for fun excursions. The boys, who are between 11 and 16 years old, went missing with their coach after he took them to the cave complex after soccer practice June 24. It's believed the group crawled through a narrow channel that may now be flooded after days of heavy rainfall. 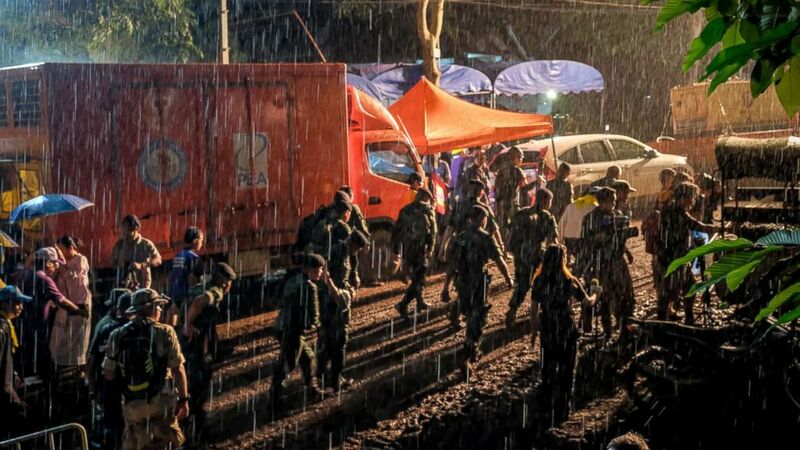 (Linh Pham/Getty Images) A group of policemen walks out of Tham Luang Nang Non cave where a a soccer team has gone missing, June 29, 2018, in Chiang Rai, Thailand. (Linh Pham/Getty Images) Soldiers bring in heavy equipment to the base camp at Khun Nam Nang Non Forest Park near Tham Luang Nang Non cave, June 29, 2018, in Chiang Rai, Thailand. 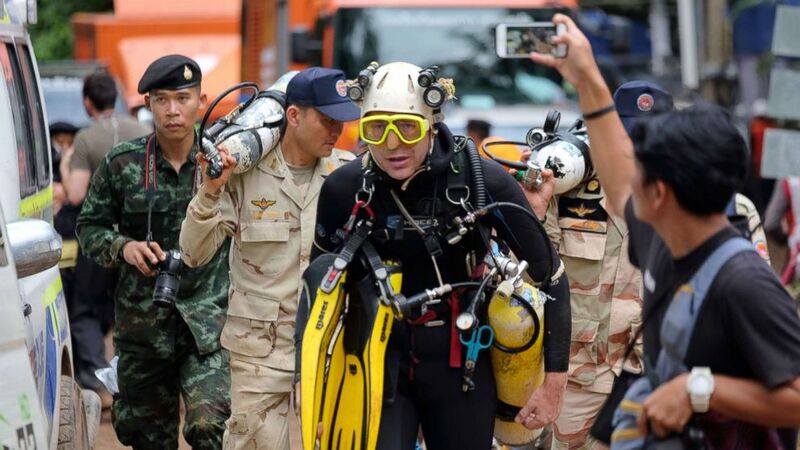 According to local media, Thailand's prime minister, Prayut Chan-o-cha, visited the cave Friday and met with family members. "There has to be faith. Faith makes everything a success," Chan-o-cha said Friday, according to The Associated Press. There's also a social media hashtag that translates as "the strangers we want to meet the most" trending in Thailand and people are sharing cartoons and images as well as prayers on Twitter and elsewhere. 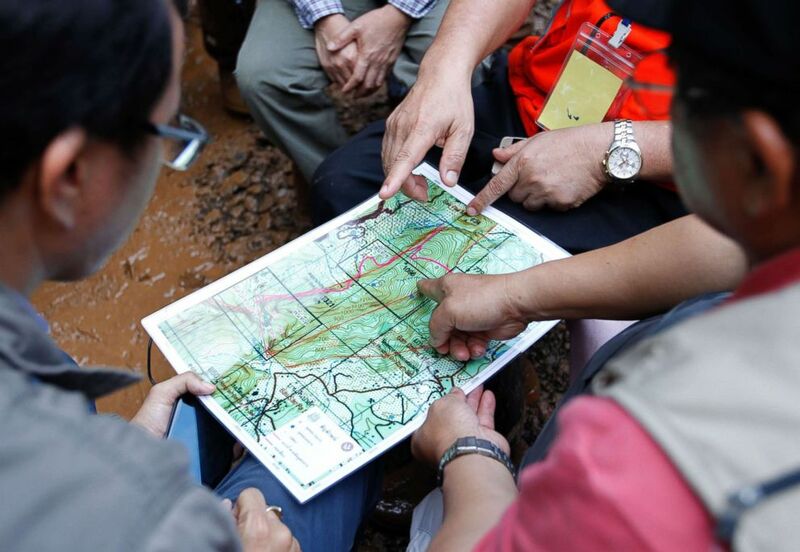 (Pongmanat Tasiri/EPA via Shutterstock) Thai associated officials are studying maps of the Tham Luang cave area, during the rescue operation for missing football players and their coach at the Tham Luang cave in Tham Luang Khun Nam Nang Noon Forest Park in Chiang Rai province, Thailand, June 28, 2018. ABC News' Angus Hines and Hugo Leenhardt contributed to this story.